Redmi Note 7 India launch date reveal, details of the Samsung’s upcoming Galaxy M30, and the teasers of Xiaomi’s next flagship Mi 9 dominated the tech news headlines this week. Also, Samsung spilled some bits about the next-generation Galaxy A-Series smartphones and Motorola quietly debuted its Moto G7 Power in India just a week after its unveiling in Brazil. Without further ado, let’s jump into the biggest news from the world of technology, gaming, and pop culture. Ever since its announcement, Redmi Note 7 has constantly been talk of the town. It has been a while since a phone was so much part of the conversation and Xiaomi is clearly loving it. After a number of weird and cryptic teasers, the company this week revealed that it is finally ready to launch the phone outside China. Xiaomi India tweeted that the India launch of the Redmi Note 7 is scheduled for February 28. Key details like the exact availability information and exactly which version of the phone will reach India remain unclear for now, but we won’t have to wait for long. We do know that Redmi Note 7’s Chinese version features a 6.3-inch full-HD+ screen and is powered by Qualcomm Snapdragon 660 SoC. The phone also includes up to 6GB of RAM, up to 64GB of inbuilt storage, and a microSD card slot of further expansion of the storage. In terms of the imaging capabilities, Xiaomi has packed a dual rear camera setup with a 48-megapixel Samsung GM1 sensor with f/1.8 aperture and a 5-megapixel sensor in the Redmi Note 7. The phone also comes with a 13-megapixel selfie sensor as well with features like AI face unlock, AI smart beauty, and AI single shot blur. Coming to Redmi Note 7 price in India, Xiaomi is likely to offer the phone around its Chinese price tag. To give you an idea of what to expect, the Redmi Note 7 starts at CNY 999 (roughly Rs. 10,300) for the 3GB RAM + 32GB storage option, going up to CNY 1,199 (roughly Rs. 12,400) for the 4GB RAM + 64GB storage option, and CNY 1,399 (roughly Rs. 14,500) for the 6GB RAM + 64GB storage option. Another smartphone lineup that has generated a lot of buzz is Samsung’s India-first Galaxy M-series. After the successful launch of Galaxy M10 and Galaxy M20, Samsung is now gearing up to bring the Galaxy M30 to the Indian shores. News agency IANS recently revealed that the Samsung M30 is going to be powered by Exynos 7904 SoC and will feature a Super AMOLED Infinity V display. The phone is said to be coming with up to 6GB of RAM, up to 128GB of built-in storage, and a massive 5,000mAh battery. Additionally, the Samsung M30 will reportedly sport a triple-rear camera setup. The report also notes that Samsung is likely to price the Galaxy M30 starting Rs. 14,990, Rs. 4,000 more than price of the base Galaxy M20 variant. The entry-level Galaxy M10 retails starting Rs. 7,990 in the Indian market. There is no word on the price tags of the rest of the variants of the Galaxy M30, but they are unlikely to be priced more than Rs 2,000 apart. The Samsung M30 will help the company establish an alternative to the Xiaomi smartphones as the Chinese smartphone maker is all set to launch the Redmi Note 7. After the Galaxy M30, Samsung is already preparing to bring the onslaught of the next-generation Galaxy A-Series models. The South Korean tech giant recently told Reuters that it is going to a launch a new Galaxy A-Series phone every month for four months starting March. Although the company didn’t share any details about the lineup, the rumours indicate that it will include the phones like Galaxy A10, Galaxy A20, Galaxy A30, and Galaxy A50. An alleged leak had divulged the key specifications of the three phones in the lineup this week. The Galaxy A10, Galaxy A30, and Galaxy A50 are said to be coming with Infinity V and Infinity U displays and will include 4,000mAh battery each. The Galaxy A10 will reportedly feature a 6.2-inch HD+ screen, whereas the Galaxy A30 and A50 will come with a 6.4-inch full-HD+ panel. The phones will also pack dual-SIM support as well as a dedicated microSD card slot. Further, you can expect a glossy plastic body and single selfie cameras. On the back, Samsung is said to be packing a single 13-megapixel shooter on the Galaxy A10, dual 16-megapixel and 5-megapixel setup on the Galaxy A30, and triple 25-megapixel, 5-megapixel, and 8-megapixel setup on the Galaxy A50. To mark the Valentine’s Day, Samsung began selling two new colour variants of its Galaxy A8s phone in the Chinese market. The new variants – one with pink and blue gradient finish and other with pink and yellow gradient texture, are called Unicorn edition in the country. The new variants carry a price tag of CNY 2,799 (roughly Rs. 29,300). There is no word when the Galaxy A8s’ new colour variants will be launched in markets outside China. In other Samsung news, the company started rolling out the Android 9 Pie update for the Galaxy Note 8smartphone. The update brings the company’s new One UI to the smartphone among other features. The Seoul-based company also confirmed that it will be unveiling its first foldable smartphone at the Galaxy Unpacked 2019 event in San Francisco next week. To remind you, Samsung is going to announce the brand-new Galaxy S10 lineup at the Unpacked event. It will also talk about its 5G smartphone and introduce a new number of new wearables devices. We will be on the ground in San Francisco to bring you all the details live, so don’t forget to be back here on February 20. Samsung, with its M-Series and A-Series, may be trying to wrestle back some of the lost ground from Xiaomi in India, but the Chinese company has some plans for its own. The company revealed this week that it is hosting an event in Beijing on February 20 itself, yes the day of Samsung’s S10 launch, to announce the new Mi 9 smartphone. The Xiaomi Mi 9 may not compete with Samsung’s Galaxy S10 in US or probably India, but the two will certainly go face to face in Europe, China and select Asian markets. As per the various teasers shared by Xiaomi’s China unit and the company CEO Lei Jun, the Mi 9 will be powered by Qualcomm Snapdragon 855 SoC. The phone will also sport a triple camera setup on the back with a 48-megapixel sensor, a 16-megapixel sensor with wide-angle lens, and a 12-megapixel sensor with telephoto lens. The Xiaomi Mi 9 will also feature bare minimum-bezels and the company has reduced the size of the bottom bezel by as much as 40 percent compared to the Mi 8 smartphone. Just over a week after introducing the new Moto G7 Power as a part of the new Moto G7 lineup, Motorola started selling the phone in India. The phone packs a massive 5,000mAh battery and has been priced at Rs. 13,999. It comes with Android 9 Pie, a 6.2-inch HD+ (720×1570 pixels) LTPS LCD panel, and Corning Gorilla Glass 3. Under the hood, there is an octa-core Qualcomm Snapdragon 632 SoC, coupled by 4GB of RAM and Adreno 506 GPU. The smartphone also comes with 64GB of internal storage that is expandable via microSD card (up to 512GB). Additionally, the Moto G7 Power sports a 12-megapixel camera sensor at the back, along with an f/2.0 lens. For selfies, there is an 8-megapixel camera sensor at the front, paired with an f/2.2 lens. Other Moto G7-Series phones include Moto G7, Moto G7 Plus, and Moto G7 Play. 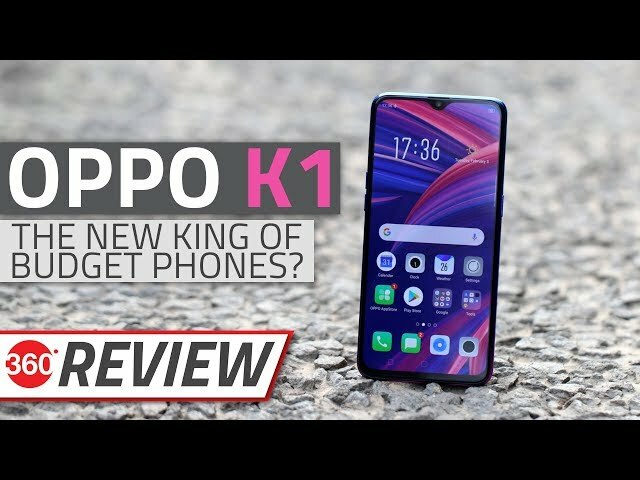 Oppo K1, which is the most affordable smartphone with an in-display fingerprint sensor in India right now, became available for the first time this week. The phone was offered via Flipkart with a price tag of Rs. 16,990 for the sole 4GB RAM + 64GB of internal storage variant. The phone also packs a 6.4-inch full-HD+ screen and Qualcomm Snapdragon 660 SoC. Among other specifications, Oppo has included a dual-camera setup on the back with a 16-megapixel primary sensor and a secondary 2-megapixel secondary camera. There is a 25-megapixel front camera as well to take care of selfies as well as a 3,600mAh battery. LG introduced a rebranded variant of its G7 One smartphone for the South Korean market. Dubbed as LG Q9 One, the new variant is also based on the Android One platform. It carries the same specifications as the LG G7 One, which is sold in Canada and some European countries. The phone sports a 6.1-inch QHD+ (1440×3120 pixels) display with 19.5:9 aspect ratio and 564ppi pixel density. It is powered by the Snapdragon 835 SoC, paired with 4GB RAM. Additionally, the phone comes with a 16-megapixel rear camera sensor with f/1.6 lens, HDR10, and OIS support. At the front, there is an 8-megapixel sensor for selfies and video calling. Vivo joined its fellow Chinese companies like Xiaomi, Huawei, Lenovo, and ZTE by announcing a sub-brand in the form of iQoo. No specifics are available at this point about the new sub-brand, but it is believed that it may be used to market premium devices, including 5G smartphones that Vivo is working on to launch sometime this year. Although sub-brands are not a usual sight in the smartphone market, other industries are filled with sub-brands. Huawei sub-brand Honor this week announced that it has started the sales of the View 20 smartphone in India via offline channels as well. The Honor View 20 will now be available for purchase through Reliance Digital and My Jio stores across India — in addition to the online availability through Amazon.in and HiHonor Store. The phone starts at Rs. 37,999 for the 6GB RAM/ 128GB storage option, while its 8GB RAM/ 256GB storage model carries a price tag of Rs. 45,999. Honor View 20 runs on Android Pie with Magic UI and features a 6.4-inch full-HD+ (1080×2310 pixels) TFT LCD All-View display, octa-core HiSilicon Kirin 980 SoC, coupled with 6GB and 8GB RAM options. The phone also comes with a dual rear camera setup with a 48-megapixel sensor and a 3D ToF sensor. There is also a 25-megapixel selfie camera on-board. In an effort to generate some pre-MWC interest, Avenir Telecom, the licensing partner of Energizer Mobile, stated this week that the company is bringing as many as 26 new phones to Barcelona. One of these upcoming smartphones is the Power Max P18K Pop with a huge 18,000mAh battery. Avenir will officially unveil the phone at MWC 2019. In other smartphone-related news, OnePlus announced that it is deeply integrating Google Duo in six of its smartphones – OnePlus 3, OnePlus 3T, OnePlus 5, OnePlus 5T, OnePlus 6, and OnePlus 6T. The last two have already started receiving a software update with Duo integration, but the other models will be getting the feature over the coming weeks. OnePlus notes that Google Duo video calling capability will be deeply integrated across multiple native functions like call logs, contacts, dial pad, and messaging. Continuing its streak from last week, Vodafone introduced a new prepaid recharge pack for its consumers. Priced at Rs. 351, the new first recharge (FRC) comes with unlimited calling without any FUP limit and 100 SMS messages per day with a validity of 56 days. Unlike other FRC, there is no data benefit in the pack. The Rs 351 Vodafone prepaid recharge pack is also said to include free Vodafone Play subscription. The new prepaid subscribers of Vodafone can now ask the retailer or Vodafone stores for Rs. 351 recharge pack. The telecom operator also released a new postpaid plan in the form of the Vodafone Red iPhone forever. Priced at Rs. 649 per month, the plan brings 90GB of data per month along with data rollover support for up to 200GB. It will also offer unlimited local, STD, and roaming calls. Further, there are benefits such as Amazon Prime and Vodafone Play access. Most importantly, the postpaid plan is designed to offer replacements and repairs of iPhone models purchased under 18 months at a handling fee of Rs. 2,000 (excluding GST). In DTH news, after days of saying that it won’t extend the deadline for migrating to new plans, TRAI relented and moved the deadline to March 31. The consumers now have more time to decide and choose DTH and cable packs of their interest from the operators as per the latest TRAI rules. In order to entice customers from other DTH operators, Tata Sky and Sun Direct recently started offering some or all of free-to-air (FTA) channels to their subscribers without any extra network fee over Rs 130 (excluding taxes) base charge. Dish TV followed suit and is now giving as many as 189 FTA channels to its subscriber without extra network fee. This should help the consumers, who have lot of FTA as well as pay channels in their plans, in reducing their monthly charges. Earlier this week, WhatsApp rolled out a beta update for its Android app, which gives us a look at what we can expect in the stable version in the coming weeks. The WhatsApp beta update included redesigned ‘settings’ menu with a prominent Payments option, in time for the rollout of WhatsApp Pay in markets outside India. US and Mexico are said to be the likely candidates for the release. The new Payments option shows a history of payments and details of the linked bank account. 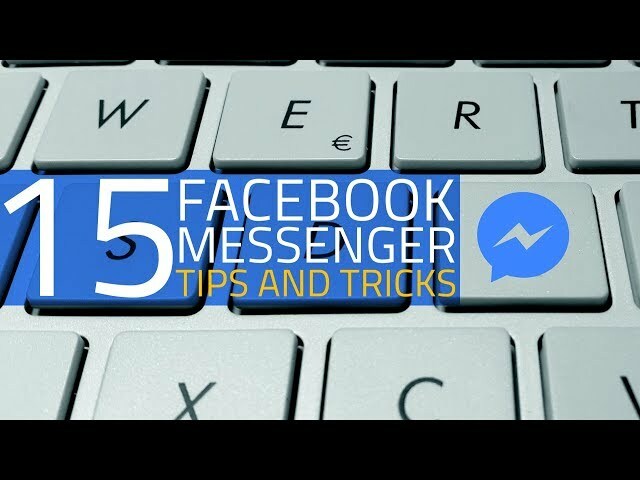 The chat is also said to be working on a new algorithmic feed for status updates. In other upcoming WhatsApp changes, the chat app was seen testing a new group invitation system that will give the users power to decide who can add them to a group. As of now, anyone with anyone’s mobile number can add them to a WhatsApp group. But WhatsApp is said to be working on an update that will allow users to choose between three variables for group invitations. The first option – “Everyone” – will let anyone add the user to a group, without the need for an invite. The second option – “My Contacts” – will only allow an admin, who is in the users’ contact list, to add the user to his/ her group. Others will have to send the user an invitation, which the user can then choose to accept or decline. Lastly, the “Nobody” option will block everyone from adding users to a WhatsApp group. Enabling this option means all admins have to send a group invitation in order to add users to a WhatsApp group. According to a report, WhatsApp released a beta iPhone app for WhatsApp Business globally this week. The WhatsApp Business app was only available to the Android users until now. It has taken over a year for the company to bring it to the iPhone users. The app allows businesses to interact with their customers easily. Moving to the entertainment and pop culture domains, Warner Bros. and DC finally greenlit the sequel to the massive hit Aquaman. According to a report, Warner Bros. has hired one of the original co-writers, David Leslie Johnson-McGoldrick, to work on the script for next Aquaman movie. James Wan, who directed the original, is yet to confirm whether he is coming back for the sequel. In addition to Aquaman 2 (unconfirmed title), Warner Bros. has also announced a spin-off of Aquaman in the form of The Trench. The studio has hired Noah Gardner and Aidan Fitzgerald as screenwriters for the film. Months after giving us the first teaser for the Aladdin movie by Guy Richie, Disney has released the first proper trailer for the movie. Set to hit the theatres on May 24, 2019, the new film is a live-action remake of Disney’s own 1992 animated hit Aladdin. The one-minute Aladdin trailer has glimpses of the desert surrounding Agrabah, the fictional Middle Eastern setting as well as first good look at Will Smith in his blue Genie avatar form. This week also brought some good news for the radio lovers in India. Amazon revealed that Alexa now offers access to 350 radio stations to its users in the country. Amazon Alexa users can listen to live broadcast of 17 All India Radio (AIR) stations in 14 Indian languages as well as access hundreds of other private radio stations from India and across the globe from the TuneIn and myTuner integration. 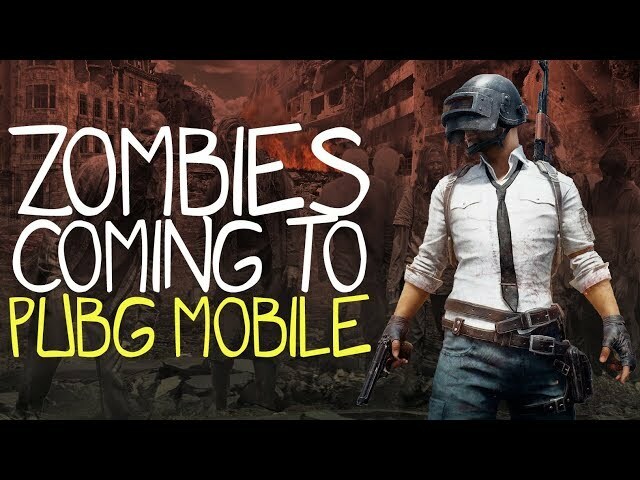 Coming to gaming news, the PUBG Mobile players finally have a confirmed date for the arrival of zombies mode update. Tencent has announced that PUBG Mobile would receive the much awaited version 0.11 on February 19. Zombies mode also gets an official name, now called Survive Till Dawn. PUBG zombies mode in the 0.11.0 update is a treat to play as we’ve discovered in the beta. This week also saw February 2019 Nintendo Direct event, where the company announced a number of new games. These include a remake of Link’s Awakening, a classic title in the Legend of Zelda series that originally graced the Game Boy 25 years ago, Super Mario Maker 2, Hellblade Senua’s Sacrifice which was on PS4, Xbox One, and PC, as well as Astral Chain, a new game from Bayonetta and Nier Automata developer Platinum Games. You can read about all these and many more in our roundup of the event. Microsoft rolled out a new software update for Xbox One on February 15. The update improved 4K performance in games as well as brings Cortana fixes, and a number of other enhancements. Among other key technology news stories, several new hacks emerged over the week as a hacker (or hacker group) began selling usernames and passwords from as many as 24 websites. The first batch included account details from websites and services such as Dubsmash, MyFitnessPal, 500px, ShareThis. The second batch packed data from eight more websites, including Ixigo, Houzz, and YouNow. Further, it was reported Apple is planning to host a press event on March 25, where it will be announcing new subscription services, including an Apple News subscription service and the much-anticipated video streaming service. The company is said to be facing some resistance in the negotiations for the news service as popular publishers are not happy with Apple’s proposed revenue sharing terms. On the other hand, the company’s video streaming service may be unveiled next month, but it is being said that consumers won’t be able to experience it anytime soon. Variety claims that the service may not be rolled out until summer or even fall. In the lead up to the general elections in India, Facebook announced that it is expanding the fact-checking group in the country. There are five new partners, who will help the company in keeping the spread of misinformation in check on its platform. If US presidential elections are any indication, the company needs all the help it can get. Samsung on Friday introduced its lightest and thinnest tablet till date in the form of Galaxy Tab S5e. The tablet is all set to go on sale in Q2 2019. It will be offered in Wi-Fi only and LTE variants. The Galaxy Tab S5e is just 5.5mm thick and weighs 400grams. It sports a 10.5-inch WQXGA display and is powered by Qualcomm Snapdragon 670 SoC. With much fanfare, HP India launched its Spectre Folio and Spectre x360 13 premium laptops at a glitzy event, which was attended by the who’s who of fashion world. The HP Spectre Folio is the world’s first leather convertible PC and has been priced at Rs. 1,99,990. On the other hand, the HP Spectre x360 13 is a premium convertible with a sleek metallic build and has a 360-degree hinge. It starts at Rs. 1,29,990. Lastly, Microsoft seems to be getting ready to bring the HoloLens 2 mixed reality headset to the Mobile World Congress 2019. Alex Kipman, credited as the mind behind the original HoloLens, shared a cryptic video hinting that Microsoft might announce the HoloLens successor at the company’s event on February 24 in Barcelona.